The world of humanity is characterized by irresoluble disagreement. The religious, political, and ideological divisions that exist among the seven billion people on the planet are staggering. These differences are not due simply to misunderstanding, or the need for further education and clarification. Truth may most certainly be known, and every human being has the God-given ability to weigh evidence and conduct himself in a rational matter, arriving at only the truth (cf. Warren, 1982; Miller, 2011). Yet, sadly, most people have arrived at their beliefs for other reasons than a desire to be right and accurate. They have an agenda, ulterior motives, and personal circumstances that mean more to them than truth. Hence, they are not actually interested in coming to correct comprehension or understanding. This state of affairs manifests itself in the matter of the origins of the Republic. Atheists and skeptics, as well as social and political liberals, of the last half century have made it one of their missions in life to indoctrinate the public with the notion that America was not intended to be a “Christian nation,” and that the Founders were deists who advocated religious pluralism and political correctness (see Miller, 2005). They have spouted the party line that our founding documents, especially the Constitution, are strictly secular in nature, and that the God of the Bible and the Christian religion were not formative influences on the Founders’ thinking. One would think that these critics are parroting Adolf Hitler’s Mein Kampf with its recommendation that “in the big lie there is always a certain force of credibility; because the broad masses of a nation…more readily fall victims to the big lie than the small lie…. [B]y an able and persistent use of propaganda heaven itself can be presented to the people as if it were hell and, vice versa” (1939, 1.10:185,216). For example, in an article titled “Our Godless Constitution,” Brooke Allen states: “Our nation was founded not on Christian principles but on Enlightenment ones. God only entered the picture as a very minor player, and Jesus Christ was conspicuously absent…. The Founding Fathers were not religious men” (2005; cf. Kramnick and Moore, 1996). Such brazen exclamations, though common and widespread, are outrageous, inexcusable, and completely untrue. Such shameless claims might be forgiven if the allusions to Christianity by the Founders were rare, scattered, ambiguous, or subject to alternative interpretations—but they are not. The goodness of the Supreme Being to all his rational creatures, demands their acknowledgments of gratitude and love; his absolute government of this world dictates, that it is the interest of every nation and people ardently to supplicate his favor and implore his protection…. The United States in Congress assembled, therefore, taking into consideration our present situation, our multiplied transgressions of the holy laws of our God, and his acts of kindness and goodness towards us, which we ought to record with the liveliest gratitude, think it their indispensable duty to call upon the several states, to set apart the last Thursday in April next, as a day of fasting, humiliation and prayer, that our joint supplications may then ascend to the throne of the Ruler of the Universe, beseeching Him to diffuse a spirit of universal reformation among all ranks and degrees of our citizens; and make us a holy, that so we may be an happy people…that He would incline the hearts of all men to peace, and fill them with universal charity and benevolence, and that the religion of our Divine Redeemer, with all its benign influences, may cover the earth as the waters cover the seas (Journals of…, 22:137-138, emp. added). This one official organic utterance by the supreme political body of the United States is sufficient to refute and completely dispel the popular contention of atheists that the Founders were not religious men, or that they did not couple their political pronouncements with their religious beliefs. Hence, the allegations of skeptics (who seek to expunge the Founders’ clearly Christian orientation by floating isolated allusions that seemingly discount this orientation), logically, cannot be interpreted as carte blanche dismissals of the role of Christianity in the founding of America. Indeed, they must be viewed as isolated and exceptional in contrast with the myriad declarations to the contrary (see Miller, 2008). And, to be fair, an honest attempt ought to be made to harmonize the exceptional with the typical. The religious views of the Founding Fathers are of great interest to propagandists of today’s American right, anxious to push their version of history. Contrary to their view, the fact that the United States was not founded as a Christian nation was early stated in the terms of a treaty with Tripoli (2006, p. 40, emp. added). Though America has always been filled with Christian churches, yet, as a nation, Barlow insisted that we have no church? How so? He meant that we have no one Christian sect assuming the role of a state church—the very malady that afflicted Britain. Yet, Christianity has been the singularly supreme religion that has always characterized the vast majority of Americans—including the vast majority of the Founders. In referring to Christianity in America, Barlow added: “they have ministers of religion, but no priests” (p. 54, italics in orig.). So according to Barlow, the problem is not religion; rather, problems arise when a corrupted form of Christianity is given the power of the federal government to persecute opposing Christian sects. He specifically affirmed that the bulk of the population of the country—including the Founders—were religious. Indeed, according to Barlow, Americans were unsurpassed in the world for their commitment to religion. Barlow, therefore, did not use the word “church” as a blanket condemnation of the Christian church or religion. In fact, after providing an initial definition of his specialized use of the term, he repeatedly went out of his way to reiterate that definition’s very restricted meaning: “By church I mean any mode of worship declared to be national, or declared to have any preference in the eye of the law” (p. 61, italics in orig., emp. added; cf. “as I have before defined it”—p. 70). After citing the history of the Roman Catholic Church as exemplary of the kind of coercive religion that he condemned, he observes that such cruelty “has given rise to an opinion, that nations are cruel in proportion as they are religious” (p. 66). Ironically, Barlow’s observation represents the opinion of today’s atheist. However, Barlow disagreed with that opinion. In contrast, he stated: “But the observation ought to stand thus, That nations are cruel in proportion as they are guided by priests”—again accentuating the distinction between the positive and rightful influence of Christianity on society, and the unchristian cruelties inflicted by Catholic priests who are handed the reins of government (pp. 66-67, italics in orig.). In the United States of America there is no church; and this is one of the principal circumstances which distinguish that government from all others that ever existed; it ensures the un-embarrassed exercise of religion, the continuation of public instruction in the science of liberty and happiness, and promises a long duration to a representative government (pp. 75-76, emp. added). Observe that when Barlow made his remarks, America, then as now, was saturated with churches from one end of the country to the other. Hence, his declaration that in America “there is no church” meant that there is no state religion, there is no religion (specifically, any one Christian denomination) that has been elevated by the federal government to the status of the state church. Observe further that Barlow listed as one of the positive, distinguishing characteristics of America the guarantee of “the unembarrassed exercise of religion”—the very thing that Dawkins, Haselby, and their atheistic associates constantly seek to expunge from society. The real object of the amendment was, not to countenance, much less to advance Mahometanism, or Judaism, or infidelity, by prostrating Christianity; but to exclude all rivalry among Christian sects, and to prevent any national ecclesiastical establishment, which should give to an hierarchy the exclusive patronage of the national government. It thus cut off the means of religious persecution (1833, 3.44.728.1871, emp. added). [I]n a republic, there would seem to be a peculiar propriety in viewing the Christian religion, as the great basis, on which it must rest for its support and permanence, if it be, what it has ever been deemed by its truest friends to be, the religion of liberty…. Probably at the time of the adoption of the constitution, and of the amendment to it, now under consideration, the general, if not the universal, sentiment in America was, that Christianity ought to receive encouragement from the state, so far as was not incompatible with the private rights of conscience, and the freedom of religious worship. An attempt to level all religions, and to make it a matter of state policy to hold all in utter indifference, would have created universal disapprobation, if not universal indignation (3.44.724-726. 1867-1868, emp. added). The general principles on which the fathers achieved independence, were the only principles in which that beautiful assembly of young men could unite…. And what were these general principles? 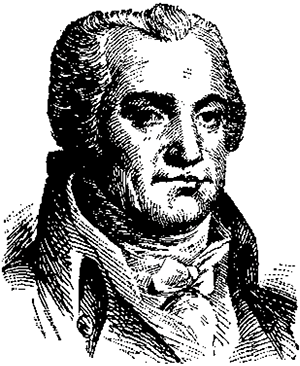 I answer, the general principles of Christianity, in which all those sects were united, and the general principles of English and American liberty, in which all those young men united, and which had united all parties in America, in majorities sufficient to assert and maintain her independence. Now I will avow, that I then believed and now believe that those general principles of Christianity are as eternal and immutable as the existence and attributes of God(“John Adams to…,” n.d., emp. added). I do hereby recommend accordingly, that Thursday, the 25th day of April next, be observed throughout the United States of America as a day of solemn humiliation, fasting, and prayer; that the citizens on that day abstain as far as may be from their secular occupations, devote the time to the sacred duties of religion in public and in private; that they call to mind our numerous offenses against the Most High God, confess them before Him with the sincerest penitence, implore His pardoning mercy, through the Great Mediator and Redeemer, for our past transgressions, and that through the grace of His Holy Spirit we may be disposed and enabled to yield a more suitable obedience to His righteous requisitions in time to come…and that he would extend the blessings of knowledge, of true liberty, and of pure and undefiled religion throughout the world (Adams, 1799, emp. added). Such admonitions concerning Christ, the Holy Spirit, and the Christian religion (i.e., Adams’ allusion to James 1:27) did not come from an irreligious man who rejected any connection between Christianity and the nation. 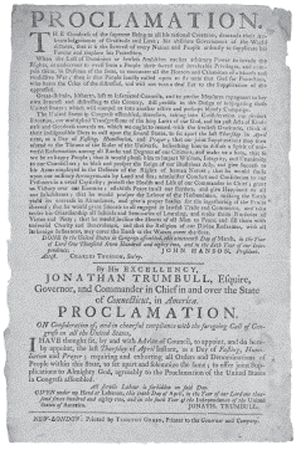 To summarize, while the Founders strenuously opposed the formation of a state-sponsored religion, i.e., the elevation of one Christian denomination above another, they firmly believed that the general principles of Christianity were part and parcel of the fabric of America, including her political and social institutions. This realization is indisputable and undeniable. We know that the Founders did not interpret the phrase in the Treaty of Tripoli the way skeptics and liberals do today, since we have a host of explicit declarations, statements, and affirmations to the contrary from the Founders themselves (Miller, 2008). But how, then, do we account for the apparent denial of this broad-based fact in the Treaty of Tripoli? Let us see. As the government of the United States of America is not in any sense founded on the Christian Religion,-as it has in itself no character of enmity against the laws, religion or tranquility of Musselmen,-and as the said States never have entered into any war or act of hostility against any Mehomitan nation, it is declared by the parties that no pretext arising from religious opinions shall ever produce an interruption of the harmony existing between the two countries (“Treaty of Peace…,” 1846a, 8:155, emp. added). At first glance, the initial declaration is startling and seemingly straightforward. How does one harmonize the mountain of evidence of America’s religious moorings with this treaty’s bold declaration that “the government of the United States of America is not in any sense founded on the Christian Religion”? The answer lies in an objective consideration of the rest of the article, recognizing that the subsequent phrases clarify, define, and explain the true intent of the initial declaration. [A]ll men have an equal, natural and unalienable right to the free exercise of religion, according to the dictates of conscience; and that no particular sect or society of Christians ought to be favored or established by law in preference to others (as quoted in Rowland, 1892, 1:244, emp. added). While Mason’s wording did not make the final cut, it nevertheless demonstrates the historical setting of the discussions, and the specific variables with which the Founders were grappling. The point is that the treaty was assuring the Tripolitan Muslim warlord that the government of the United States would never show hostility toward his country based on America’s intimate affiliation with Christianity. Second, notice that while the punctuation found throughout the article varies in the published forms that have come down through history, nevertheless, none place a period after “the Christian Religion.” The article clearly intends for the reader to gain clarification regarding the import of the first clause by including the subsequent clauses. The rest of the article, in fact, elaborates and expounds on the wording in the first clause. The rest of the article answers the question: In what way or ways is the government of the U.S. not founded in any sense on the Christian religion? Answer: (1) It has no disposition to show hatred toward Muslims, their laws, religion, or peaceful status; (2) The U.S. has never waged war against a Muslim nation; and (3) Therefore, it is clear that the U.S. would never attack a Muslim country solely on the grounds of religion, i.e., the differences that exist between Christianity and Islam. Abundant historical evidence verifies this understanding. Ten years earlier, authorized by Congress to negotiate with the Barbary pirates, who continually raided American ships off the coast of North Africa, John Adams and Thomas Jefferson met in London in 1786 with the Ambassador from Tripoli. On March 28, they wrote the following letter to John Jay, who was serving as the U.S. Secretary of Foreign Affairs, reporting their conversation with the ambassador. We took the liberty to make some inquiries concerning the grounds of their pretentions to make war upon nations who had done them no injury, and observed that we considered all mankind as our Friends who had done us no wrong, nor had given us any provocation. The Ambassador answered us that it was founded on the laws of their Prophet, that it was written in their Koran that all nations who should not have acknowledged their authority were sinners, that it was their right and duty to make war upon them wherever they could be found, and to make slaves of all they could take as prisoners; and that every Musselman who should be slain in battle was sure to go to Paradise (“American Peace…,” 1786). Art. 14th. As the government of the United States of America has, in itself, no character of enmity against the laws, religion, or tranquility of Musselmen, and as the said states never have entered into any voluntary war or act of hostility against any Mahometan nation, except in the defence of their just rights to freely navigate the high seas, it is declared by the contracting parties, that no pretext arising from religious opinions shall ever produce an interruption of the harmony existing between the two nations. And the consuls and agents of both nations respectively, shall have liberty to exercise his religion in his own house. All slaves of the same religion shall not be impeded in going to said consul’s house at hours of prayer. 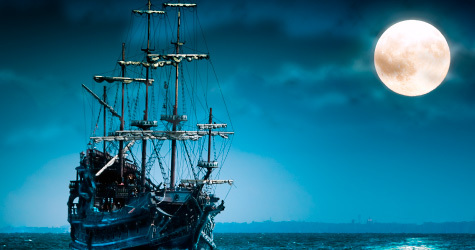 The consuls shall have liberty and personal security given them, to travel within the territories of each other both by land and sea, and shall not be prevented from going on board any vessel that they may think proper to visit. They shall have likewise the liberty to appoint their own drogerman and brokers (“Treaty of Peace…,” 1846b, 8:216, emp. added). The first two clauses are taken verbatim from the 1796 treaty—to the exclusion of the clause regarding America not being a Christian nation. Consequently, they do precisely what the Christian nation clause was intended to do in the earlier treaty: assure the Muslim pasha that America’s Christian orientation would not be the cause of hostilities directed against him. Tripolines were obligated not to attack Americans on account of America’s Christian connections, and the U.S. was not to attack Tripolines on account of their Islamic beliefs. Article 14 even expresses concern that “consuls and agents of both nations” be permitted to practice their religion in their own homes. In other words, a consul or agent of Tripoli should not be hindered from engaging in Islamic worship in the diplomatic residence he occupies while in America. Similarly, any American consul or government agent living in Tripoli was not to be hindered from practicing his religion while residing in Tripoli. Pray tell—what religion would that be? Certainly not Islam, since he would hardly be hindered from practicing Islam in an Islamic nation. Obviously, both parties to the treaty automatically understood that American consuls and government agents would naturally practice Christianity. Two with Tunis, on August 17, 1797 and March 26, 1799 (“Treaty of Peace…,” 1846e, 8:157-161), as well as the “Altered Articles” on February 24, 1824 (1846, 8:298-300). Two with Morocco, on January 1787 (“Treaty of Peace…,” 1846c, 8:100-108) and September 16, 1836 (“Treaty with Morocco…,” 1846, 8:484-487). Two with Algiers, on September 5, 1795 (“Treaty of Peace…,” 1846d, 8:133-137) and June 30 and July 6, 1815 (1846f, 8:224-247), as well as a “Renewed Treaty” on December 22-23, 1816 (1846g, 8:244-248). As the government of the United States has, in itself, no character of enmity against the laws, religion, or tranquility, of any nation, and as the said States have never entered into any voluntary war, or act of hostility, except in defence of their just rights on the high seas, it is declared, by the contracting parties, that no pretext arising from religious opinions shall ever produce an interruption of the harmony between the two nations; and the Consuls and Agents of both nations shall have liberty to celebrate the rites of their respective religions in their own houses (“Treaty of Peace…,” 1846f, 8:224-247, emp. added). This article paraphrases the previous two treaties with Tripoli. Like the second treaty with Tripoli, it omits the “not a Christian nation” clause. Once again, observe that the agreement inherently presupposes that the religion of Algiers is Islam and the religion of America is Christianity. But the treaty intends to reassure the Dey that America’s Christian orientation will never be the cause of hostilities on the part of America. Indeed, America’s history proves that her wars have typically been reactive and defensive, and they have pertained to non-religious matters. Even more historical confirmation is seen in the fact that not only do all the other treaties that were made with the Barbary States omit the allusion to America not being a Christian nation—including the other Tripoli treaty—they actually contain allusions to Christianity. For example, the January 1787 treaty with Morocco (“Treaty of Peace…,” 1846c, 8:100-108) contains the following references: “In the Name of Almighty God” and “trusting in God” (p. 100). It also refers to “the Christian powers” (in Article X, p. 102), “any Christian power” (in Article XI, p. 102), “the other Christian nations” (in Article XVII, p. 103), and “any of the Christian powers” (in Article XXIV, p. 104)—the last two references clearly implying that America is among them. Article XXV states: “This treaty shall continue in full force, with the help of God, for fifty years” (p. 104, emp. added). Several times the treaty alludes to “Moors”—the term used to refer to “a Muslim people of mixed Berber and Arab descent” in northwest Africa (American Heritage…, 2000, p. 1142)—in Article VI (p. 101), Article XI (p. 102), and Article XXI (p. 103). Article XI places “Moors” in juxtaposition to “Christians” (Article XI, p. 104), and the “Additional Article” contrasts “Moorish” with “Christian Powers” (p. 104). The September 16, 1836 treaty with Morocco contains essentially the same contrasts. The September 5, 1795 treaty with Algiers—made just 14 months before the 1796 treaty with Tripoli that contains the “not a Christian nation” expression—includes in Article XVII assurance that the “consul of the United States of North-America…shall have liberty to exercise his religion in his own house” (“Treaty of Peace…,” 1846d, 8:135). This treaty was authorized by the same President who initiated the 1796 treaty with Tripoli—George Washington. In addition to the evidence provided by Article 15 of the June 30 and July 6, 1815 treaty with Algiers mentioned above, Article 14 of the same treaty secures the right of captive Christians in Algiers, who are able to escape and make their way to any U.S. ships, to remain on board unscathed, and no remuneration must be paid “for the said Christians” (“Treaty of Peace…,” 1846f, 8:246). The August 17, 1797 treaty with Tunis begins with the words “God is infinite” and refers to “the most distinguished and honored President of the Congress of the United States of America, the most distinguished among those who profess the religion of the Messiah” (“Treaty of Peace…,” 1846e, 8:157). This unmistakable declaration of commitment to the religion of Christ refers to President John Adams—the very President whose act of signing the 1797 Treaty of Tripoli, the skeptics claim proves that he and the Congress repudiated Christianity! Article IX of the same treaty states: “If by accident and by the permission of God, a vessel of one of the contracting parties shall be cast by tempest upon the coasts of the other…” (p. 158, emp. added). The treaty concludes with an affirmation that the two contracting parties shall observe the terms of the treaty “with the will of the Most High” (p. 161—an expression used in both the Quran and the Bible), and the treaty is dated in both Islamic and Christian reckoning: “in the present month of Rebia Elul, of the Hegira one thousand two hundred and twelve, corresponding with the month of August of the Christian year one thousand seven hundred and ninety-seven,” followed by the signatures and seals of the Muslim leaders (p. 161). The accompanying verification by the American representatives, William Eaton and James Cathcart, claims authority for their actions on the basis of President John Adams, and closes with these words: “Done in Tunis, the twenty-sixth day of March, in the year of the Christian era one thousand seven hundred and ninety-nine, and of American independence the twenty-third” (p. 161, emp. added). To summarize, the treaties made with the Barbary States are literally riddled with religious allusions and transparent indications of the Christian orientation of the United States in contradistinction to the Islamic orientation of the Barbary States. This fact alone proves that no treaty ever ratified by the United States would deny the Christian connections that have characterized the nation from its birth. The very idea is absurd—and such a declaration would be an outright falsehood. Those who so construe the 1797 Treaty of Tripoli are guilty of shoddy historical investigation at the very least, and outright dishonesty and flagrant bias at the very worst. With this Christian worldview firmly fixed in their minds, they launched what indisputably has become the greatest nation in human history. Adams, John (1799), “By the President of the United States of America. 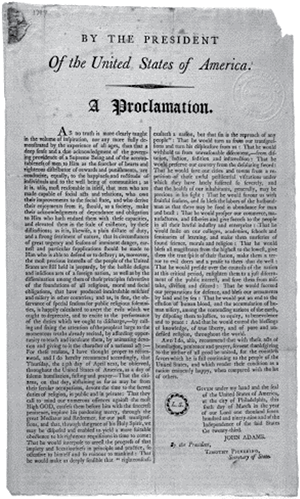 A Proclamation,” Library of Congress, http://tinyurl.com/Adams1799. Adams, John Quincy (1821), Address Delivered at the request of a Committee of the Citizens of Washington on the Occasion of Reading the Declaration of Independence on the 4th of July, 1821 (Washington: Davis & Force), http://digital.library.umsystem.edu/cgi/t/text/text-idx?sid=b80c023f0 007f89b5b95e4be026fa267;c=jul;idno=jul000087. Allen, Brooke (2005), “Our Godless Constitution,” The Nation, February 3, http://www.thenation.com/article/our-godless-constitution. “Altered Articles of the Treaty of Peace and Friendship, Between the United States and the Bashaw Bey of Tunis, February 24, 1824” (1846), The Public Statutes at Large of the United States, ed. Richard Peters (Boston, MA: Charles C. Little and James Brown). “American Peace Commissioners to John Jay” (1786), The Thomas Jefferson Papers Series 1. General Correspondence. 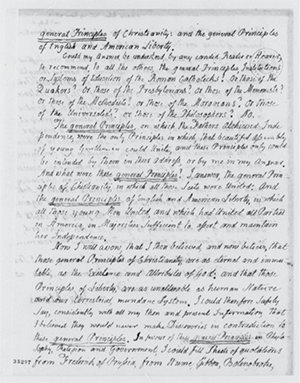 1651-1827, Library of Congress, March 28, http://hdl.loc.gov/loc.mss/mtj.mtjbib001849. Barlow, Joel (1793), Advice to the Privileged Orders (London: J. Johnston), third edition, http://tinyurl.com/Barlow1793. Barton, David (2000), “Treaty of Tripoli,” Wallbuilders, http://www.wallbuilders.com/LIBissuesArticles.asp?id=125. Buckner, Ed (1997), “Does the 1796-97 Treaty with Tripoli Matter to Church/State Separation?” http://www.stephenjaygould.org/ctrl/buckner_tripoli.html. Buckner, Ed and Michael (1993), “Quotations that Support the Separation of State and Church,” Internet Infidels, http://www.infidels.org/library/modern/ed_buckner/quotations.html#I. Dawkins, Richard (2006), The God Delusion (London: Bantam Press). Harding, Ken (2011), “Our Founding Fathers Were Not Christians,” BibleTrash.com, July 5, http://freethought.mbdojo.com/foundingfathers.html. Haselby, Sam (2011), “The Enigma of America’s Secular Roots,” The Guardian, January 3, http://richarddawkins.net/articles/572948-the-enigma-of-america-s-secular-roots; http://www.guardian.co.uk/commentisfree/belief/2011/jan/03/america-secular-roots-treaty-tripoli. Hitler, Adolf (1939), Mein Kampf, Project Gutenberg, http://gutenberg.net.au/ebooks02/0200601.txt. Irwin, Ray (1931), The Diplomatic Relations of the United States with the Barbary Powers (Chapel Hill, NC: The University of North Carolina Press). 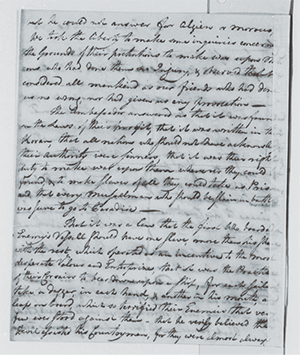 “John Adams to Thomas Jefferson, June 28, 1813” (no date), The Thomas Jefferson Papers Series 1. General Correspondence, 1651-1827, Library of Congress, http://hdl.loc.gov/loc.mss/mtj.mtjbib021451. Kramnick, Isaac and R. Laurence Moore (1996), The Godless Constitution: The Case Against Religious Correctness (New York: W.W. Horton). Miller, Dave (2005), “Deism, Atheism, and the Founders,” Apologetics Press, http://www.apologeticspress.org/APContent.aspx?category=7&article=1654&topic=31. Miller, Dave (2008), The Silencing of God (Montgomery, AL: Apologetics Press), http://www.apologeticspress.org/store/Product.aspx?pid=51. Miller, Dave (2009), Christ and the Continental Congress (Montgomery, AL: Apologetics Press), http://www.apologeticspress.org/store/Product.aspx?pid=45. Miller, Dave (2011), “Is Christianity Logical? (Part I),” Reason & Revelation, 31:50-59, June 3, http://www.apologeticspress.org/apPubPage.aspx?pub=1&issue=977&article=1499. Rowland, Kate (1892), The Life of George Mason (New York: G.P. Putnam’s Sons). Story, Joseph (1833), Commentaries on the Constitution of the United States (Boston, MA: Hilliard, Gray, & Co.), http://www.constitution.org/js/js_344.htm. “Treaty of Peace and Friendship Between the United States of America, and the Bey and Subjects of Tripoli, of Barbary, November 4, 1796” (1846a),The Public Statutes at Large of the United States, ed. Richard Peters (Boston, MA: Charles C. Little and James Brown), http://tinyurl.com/TreatyTripoli1846a. “Treaty of Peace and Amity, Between the United States of America, and the Bashaw, Bey, and Subjects of Tripoli, in Barbary, June 4, 1805” (1846b), The Public Statutes at Large of the United States, ed. Richard Peters (Boston, MA: Charles C. Little and James Brown). “Treaty of Peace and Friendship Between the United States of America and His Imperial Majesty, the Emperor of Morocco, January, 1787” (1846c), The Public Statutes at Large of the United States, ed. Richard Peters (Boston, MA: Charles C. Little and James Brown). “Treaty of Peace and Amity Between the Dey of Algiers and the United States of America, September 5, 1795” (1846d), The Public Statutes at Large of the United States, ed. Richard Peters (Boston, MA: Charles C. Little and James Brown). “Treaty of Peace and Friendship, Between the United States of America and the Kingdom of Tunis, August, 1797, March 26, 1799” (1846e), The Public Statutes at Large of the United States, ed. Richard Peters (Boston, MA: Charles C. Little and James Brown). “Treaty of Peace and Amity, Concluded Between the United States of America and His Highness Omar Bashaw, Dey of Algiers, June 30, and July 6, 1815” (1846f), The Public Statutes at Large of the United States, ed. Richard Peters (Boston, MA: Charles C. Little and James Brown). “Treaty of Peace and Amity, Concluded Between the United States of America and the Dey and Regency of Algiers, December 23 and 24, 1816” (1846g), The Public Statutes at Large of the United States, ed. Richard Peters (Boston, MA: Charles C. Little and James Brown). “Treaty with Morocco, September 16, 1836” (1846), The Public Statutes at Large of the United States, ed. Richard Peters (Boston, MA: Charles C. Little and James Brown). Walker, Jim (1997), “The Government of the United States of America is Not, in Any Sense Founded on the Christian Religion,” NoBeliefs.com, April 11, http://www.nobeliefs.com/Tripoli.htm. Warren, Thomas B. (1982), Logic & the Bible (Ramer, TN: National Christian Press).